This was originally a guest post I wrote for Clarity – which you can use to pick my brain. Unfortunately, I’ve met too many managers who agree they should hire people smarter than themselves, only to not give them the freedom to act. In this way, they act more like people with collectibles – willing to pay a premium price just to put nice things on a shelf. As managers of high performers the work doesn’t end at finding and hiring them. It’s our job to create the right culture to keep them, to encourage them, and to create the opportunities for them to do the things they do best. 1. Motivate by Execution. Not Talking. Not Dreaming. If you asked around, everyone said the same thing. Ryan was the best developer that the company had had. But he’d recently left. And everyone was talking about how great he was. What no one was talking about, however, was why he had left. 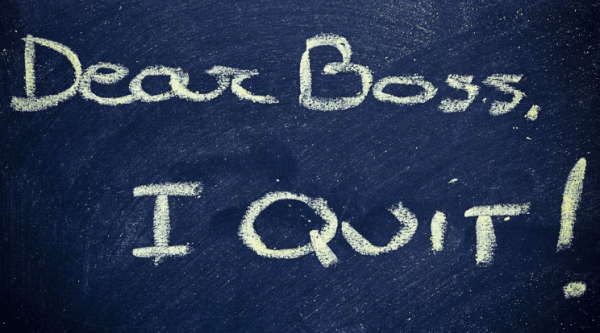 People join companies and quit supervisors. The first time I heard that quote, it stopped me in my tracks because of how true and how simple it was. Ryan had quit because his supervisor was inconsistent and biased. Ultimately, he had quit because he couldn’t do what he was good at (writing code) without dealing with drama (which he didn’t like). He wanted to spend more time writing great code, but he was spending more time in politics. If you want to empower and develop high performing teams, the first takeaway is one of motivation. We need to embrace the reality that high performers are motivated by execution. Not talking. Not dreaming. Doing. Sometimes it’s processes that need to change and sometimes it’s people, like poor performers who keep interrupting. Either way, our job is to clear the way for high performers to act. Don was one of those guys who you could throw at a problem and he’d fix it. It didn’t matter if it was technical in nature, process-oriented, or simply a people-issue. Don was always game to get in there, figure it out, put a plan together and execute on it. And then one day Don approached me with some bad news. He was moving on. He’d received a great offer from another company and he had already accepted. He was good at what he did – but he was bored. He’d been doing it too long. And when he looked around, he didn’t see how I’d be able to give him something new to do. When others wrap themselves up in the warm comfort of routine, high performers need personal growth. They need to see that they’re tackling new problems, learning new things, and trying new strategies. And because I got to the point where I relied on Don to solve the same kinds of things over and over again, I lost out. Our job can’t be to wait until someone brings it up. We have to constantly think about our high performers and plan for ways that they can grow. My last story is my own. I had a fine job. I was paid well. But none of that stopped me from walking away. Regardless of how well anyone is paid, the internal drive of high performers is to make an impact – to see big things change. Studies have been done and the percentage of people that can answer affirmative to the question of whether they get to do what they do best at work is still woefully low. I woke up one day and realized that the things I did best were barely at play when I was at work (< 20%). In line with Ryan and Don, I made the decision to move on. Finding the right place to make an impact didn’t take long. Taking the pay cut was immaterial. But working on software that impacted over 60% of the affordable housing in the country and helped people have roofs over their head was worth it. We will never keep our best and brightest by giving them routine work, or by having them managed like they’re regular staff. It’s not fair to the organization when they walk. And it’s a waste of incredible resources. Instead, our job, daily, should be focused on how to create a culture that embraces these three drivers and keeps them around for a long time. It’s good for them, and it’s good for our companies.